The glass has to be half full. It must with nary a game yet played. For such, over the next few days, I’ll be posting why each of the conference’s twelve teams have reasons to be optimistic. Grad School – It’s not unprecedented but Mark Lyons’ transfer to Tucson from Xavier to begin graduate work and play basketball could wind up being cited as one of the most impactful transfers, ever. Hyperbole to be sure and the horse is well ahead of the carriage; but this smells a lot like Russell Wilson to Wisconsin for a Rose Bowl, the basketball version. Time – Kevin Parrom had a hellacious 2011-12 that he’s asked to not be asked about. We all know the story by now so now let’s celebrate that we’ll get to see a tough, fun, and now healthy basketball player thrive as a senior. 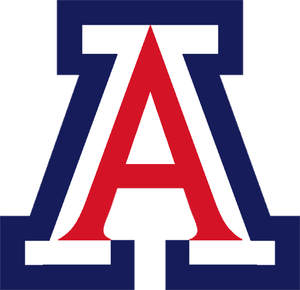 Padded Chairs – Nearly everyone sitting on one was a four-star recruit or better and is going to make these Wildcats the deepest team in the conference if not the country. 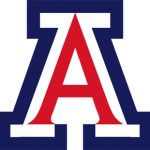 1988 – This year marks the twenty-fifth anniversary of Arizona’s first Final Four and one of the greatest teams in school history. That ’88 squad went on to win a gaggle of NBA Championships and included Sean Elliott, Steve Kerr, Kenny Lofton, Jud Bucheler, Tom Tolbert, and others. Zeus – Not the Greek God but if Kaleb Tarczewski erupts in season one, he may be considered one in Tucson. Seven-footers are good old fashioned difference makers. A monster season will have Zeus in the lottery and the ‘Cats playing deep into the Madness. 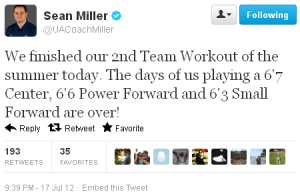 Maturity – There may be young pieces, but this is a mature group lead by senior statesman, Solomon Hill. At Pac-12 Media Day Hill let everyone know how he’s embraced his role as leader, teaching the mature-beyond-their-years underclassmen of sacrifice and passing on the parties that are always going to be there. A subtle jab at the departed Josiah Turner? Whatever it is, the Wildcats are focused on winning.